The route follows Prince Alfred’s Pass, one of the country’s longest and most spectacular mountain passes. Photo by Ewald Sadie. 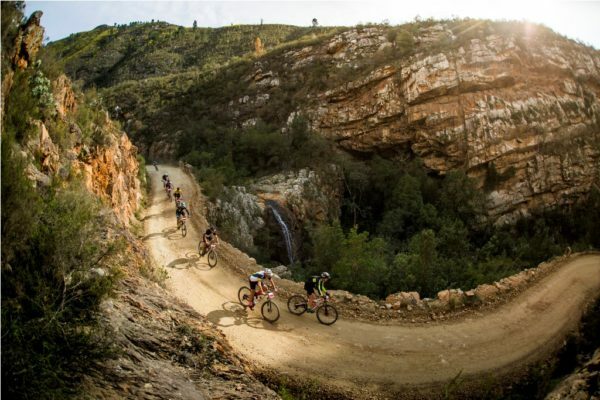 The BUCO Karoo to Coast, 100 kilometre MTB Challenge, is the largest single day mountain bike event in South Africa; attracting 4 500 riders to the sleepy Karoo town of Uniondale annually. 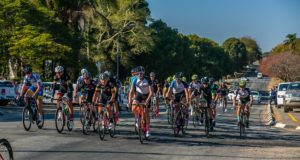 This year the event is set to take place on Sunday the 23rdof September and though the focus is on ensuring each rider enjoys his or her day in the saddle, throughout the exceptionally scenic route, there are a number of highly competitive cyclists lining up with race victory on their minds. The 100 kilometre long route takes in the Ou Wapad out of Uniondale; Prince Alfred’s Pass, a still-gravel road pass which it has been argued is Thomas Bain’s finest work; and Kom-se-Pad through the beautiful Gouna indigenous Forest. The weather for this year’s event looks set to be perfect, with mild temperatures and virtually wind still conditions predicted on the long-term forecast. If the prediction holds it could make for a year of fast times, though how the race will unfold is always difficult to predict – given the sheer size of the field. Both the men’s and women’s races are bereft of the defending champions however, with Robert Hobson and Jeanie de Villiers not scheduled to start. This will not affect the competitiveness of the field though, as the depth of talent in the men’s start list in particular ensures any one of a number of riders could cross the finish line, in Knysna, first. There is a healthy mix of youth and experience on display in the men’s field too, with ex-professional rider Waylon Woolcock lining up against a rider he has helped train – Rossouw Bekker – in one of the more interesting match-ups within the race. The presence of brothers, Tyler and Dusty Day, along with Craig Boyes and Charlie Mcfallshould aid in insuring the pace is frantic from the off. Another ex-professional, or rather ex-full time rider as he prefers, in the field is Oliver Munnik. Munnik is set to ride his gravel bike rather than a full suspension mountain bike and this choice will provide another interesting dynamic to the racing. When asked if he would be challenging for victory at the BUCO Karoo to Coast this year Munnik responded in typical fashion: “I will shave my legs and give it my best shot”. The women’s field is no less competitive but with a large number of riders on a very similar level it is virtually impossible to pick a favourite. Last year’s runner up, Nicky Giliomee, could be among the podium contenders – but following a winter of niggling illness the Stellenbosch student who hails from Knysna is hesitant to commit. “I’ve been sick on and off, with flu and then bronchitis, so I’m not really sure how competitive I’ll be” Giliomee confessed. The 2017 fifth and sixth placed women, Barnize Lategan and Yolande Myburgh meanwhile will be looking to step up their performances and race for a place on the podium. While Sharon van den Heever who finished seventh last time out, under a minute down on Lategan in fifth is not to be underestimated. The unpredictable nature of the BUCO Karoo to Coast, where the route provides 100 kilometres for punctures or dips in energy to shake up the results, means that an unexpected new-comer could completely dominate the race. It is essential then to follow the action closely on Sunday the 23rdof September. Mountain biking fans can follow @karootocoaston Twitter for regular updates throughout the race, as well as on Instagram where @karoo2coast’s Story will feature racing updates. To view the best photos, videos and to read longer reports on how the race is unfolding followers from home can like the Karoo to CoastFacebook page. 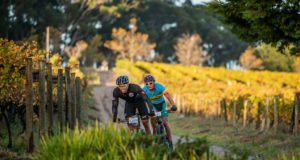 For more information about the BUCO Karoo to Coast please visit www.karootocoast.com.